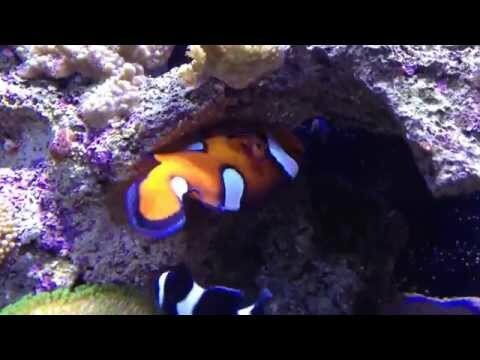 I have had a saltwater aquarium for 20 years and a reef aquarium for the last 10. 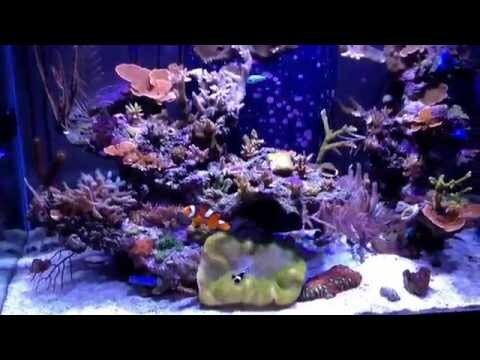 My current aquarium is a mixed reef with an focus on SPS. 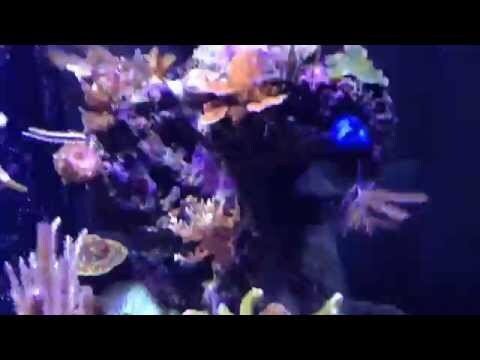 With my current tank I started from the ground up tanking what I have learned and building upon it. I spent months designing the stand so that everything would have its place and it would all fit under the stand. I wanted the tank to be as little work as possible. One thing I knew I did not want to deal with was another acrylic tank, mostly do to the pain it is to clean and the small opening at the top. I liked the clean lines of rimless tanks so that is what I went with. I made the sump out of an old 20 gallon aquarium with overflow filter socks so the would be easy to change. I had a custom ATO tank made to hold as much water as the space allows. This tank is filled by a pump that can be placed in a bucket and will run as long as the bucket has water and the ATO tank is not full, this is done via float switches. I also added mid way float switches in the ATO tank so that I can be e-mailed when the tank is low. There are also float switches to detect when the tank is empty so the sump pump can be tuned off so it will not run dry. I have been messing with my light profile some, here is my current one. Black & White Ocellaris Clownfish Amphiprion Ocellaris Var. Misbar Ocellaris Clownfish Amphiprion Ocellaris Var. Green Button Polyp Protopalythoa sp. ORA Purple Stylophora Stylophora spp. Red Eyes Cyphastrea Cyphastrea sp. Red Sea Xenia Xenia sp. Turbinaria Cup Corals Turbinaria sp. 5 Cerith Snail Cerithium sp. 10 Nassarius Snail Nassarius sp. 4 Trochus Snail Trochus sp. On average you perform a 9.9% water change every 26 days. Eggs hatched. Harvested and put in breeder tank.